Visit from the Assistant Secretary of Homeland Security, Mr. Michael Dougherty! 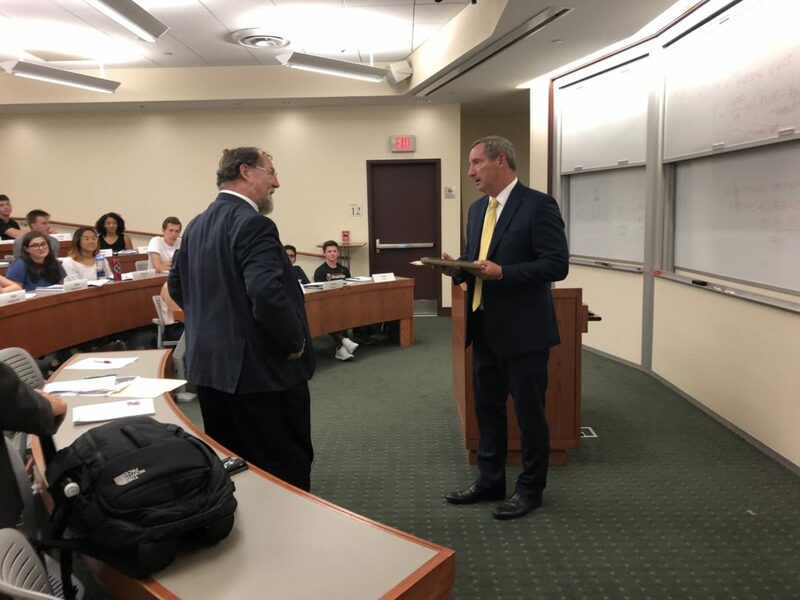 Today, I had the pleasure to welcome Mr. Michael Dougherty, the assistant secretary of homeland security for border, immigration and trade policy at my First-Year Seminar on “International Trade: Washington Insiders”. Now, we all know how complex the screening of vast quantities of imports and exports can become. Thank you, Secretary Dougherty!